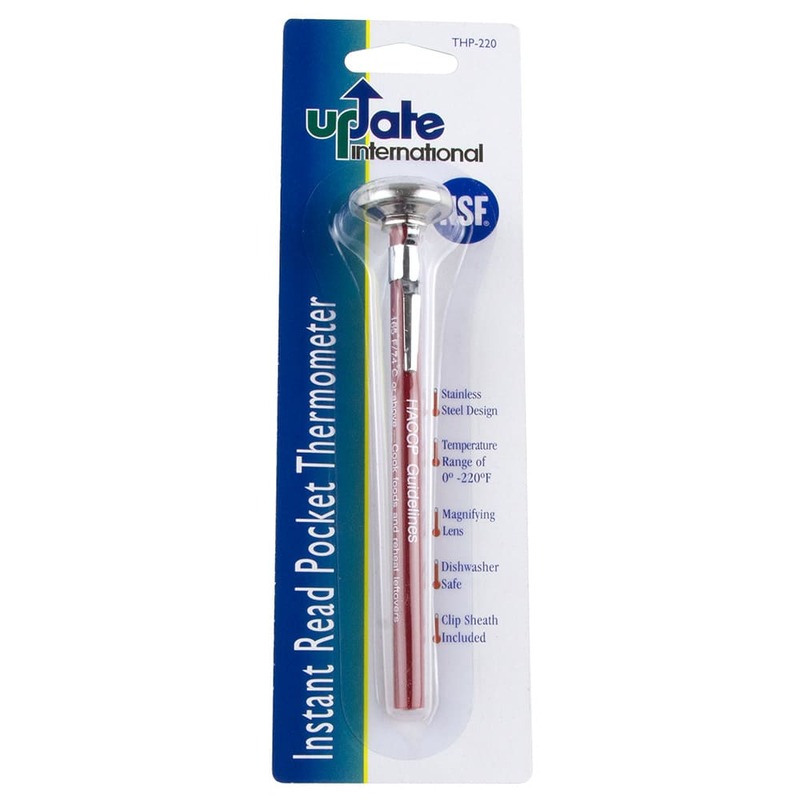 The Update International THP-220 pocket thermometer is an economical choice for day-to-day kitchen tasks, including checking that proteins have been cooked to the correct doneness and verifying that foods are being held at the correct temperature in prep lines and food warming equipment. It can accurately measure temperatures across a 0 to 220 degree Fahrenheit range. 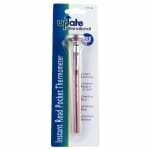 The thermometer's compact size, 1-inch dial, clip, and red sleeve make it easy to carry in a shirt pocket or bag. The Update THP-220 has been NSF listed, meeting that agency's requirements for sanitation and cleanability.